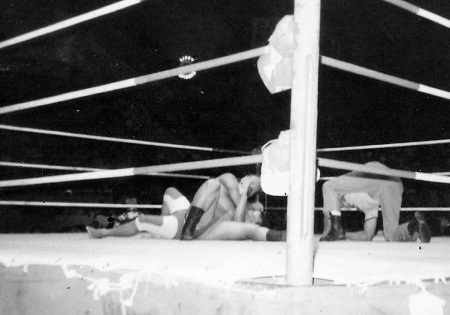 On June 10, 1970 at the Civic Auditorium, five matches took place. In the opening match, Tank Morgan and Masa Fujiwara battled to a draw. Hard Boiled Haggerty defeated Mac Macfarland and Billy Robinson took two out of three falls from Hahn Lee with a pin fall and a press to win his wrestling match. 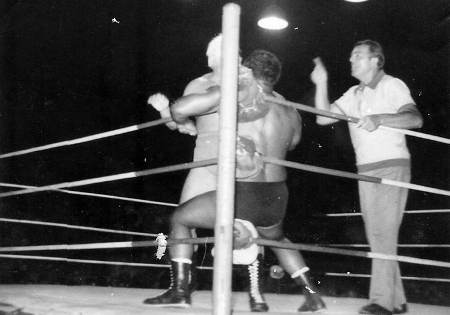 In a special challenge match, Pedro Morales wrestled a masked wrestler by the name of "The Convict," who stood 7 feet one inches tall and weighed 487 pounds. Morales won the match in 11:44 when the Convict was disqualified and fined for knocking out referee Wally Tsutsumi and for roughness outside the ring. Tank Morgan tussles with Masa Fujiwara. Lord Blears helps a dazed Hahn Lee. 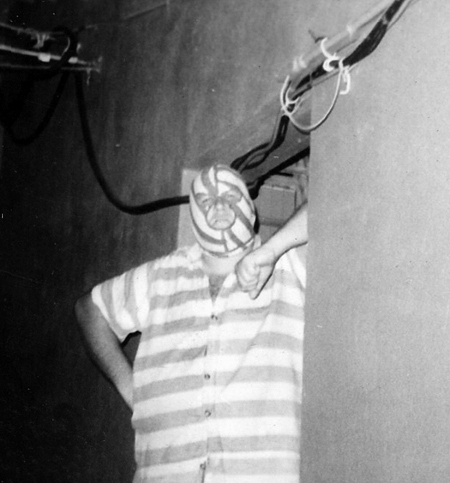 The Convict waits in the hallway for his match. 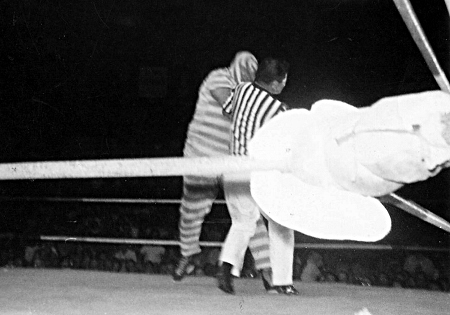 The Convict attacks referee Wally Tsutsumi. The main event was for the Hawaiian Championship with a clause in the contract stating a no disqualification rule. The champion Ripper Collins put up his title against Sam Steamboat. 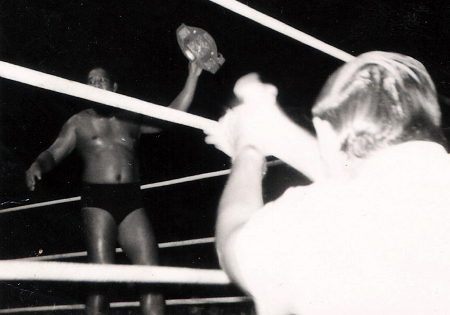 Promoter Ed Francis ordered the match due to the fact that on April 29, Collins wrestled Steamboat for the title and got himself disqualified on purpose by hitting the referee thus allowing Collins to keep his title. The match was 2 out of three falls with a one hour time limit. Steamboat won the first fall by applying an abdominal stretch submission hold on Collins. The second fall went to Collins by giving two knees to the stomach of Steamboat and then using a splash to even up the match. Collins has Steamboat trapped in the corner. The third and deciding fall had both wrestlers on the ropes, Steamboat managed to pin Collins for the third and deciding fall and become the new Hawaiian Champion. However, the following Saturday on KGMB's 50th State Wrestling TV show, Steamboat told the audience that he was informed by some friends that Collins' foot had been outside the ropes on the deciding fall. Knowing this, Steamboat didn't feel right and asked promoter Ed Francis to give Collins a rematch as soon as possible. Steamboat holds the Hawaiian Belt in victory.